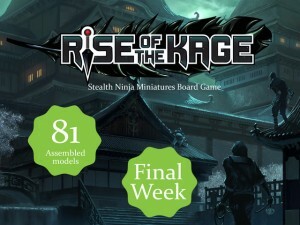 GCT Studios has just under a week left for their Rise of the Kage Kickstarter campaign. They've made their goal and gone through several stretch goals as well. How many more can they get through? Well, that's up to you. The campaign has been ticking along nicely and we have unlocked a ton of stretch goals along the way. Come and join us for the final push.